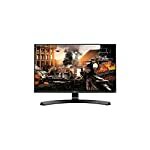 The VP2780 is an UHD monitor which is perhaps aimed more at a graphic designer than a graphic hungry gamer. But that won’t stop us from sharing our thoughts on this monitor. 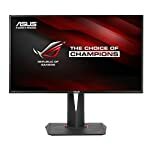 This is a 3840 x 2160 resolution monitor so you can expect a very clear and crisp picture from this screen. The downside of having such a high pixel count is that your going to need a good graphics card to push them round the screen at a fast enough rate to satisfy the needs of a fast paced action game. 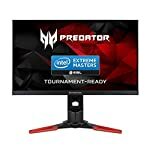 But with a 13ms response time, which is fairly average for an IPS panel, this monitor is not geared towards games which need a high frame rate. That said, the beautiful clear crisp screen is going to look great if your preference is for slower paced strategy games. It’s also worth noting that UHD on a 27″ screen results in very small text when running at this native resolution. This could make it hard going for anyone who struggles to read smaller characters. The monitor does a much better job displaying imagery so do consider this when weighing up if this is the right choice for you. We give the ViewSonic VP2780 a 4 out of 5 rating. Want to know what existing owners of the monitor think? You can read real user reviews here. 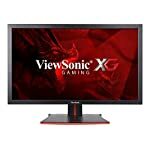 Should I buy the ViewSonic VP2780? The ViewSonic gives a stunning image but is perhaps not the monitor for you if you are all about playing fast paced arcade action games. A graphic designer who likes to dabble in gaming might be OK with it though, you won't be disappointed by the image quality! If you are having some doubts about this purchase then why not read some real owner reviews and see what other buyers think.